April is National Distracted Driving Month. 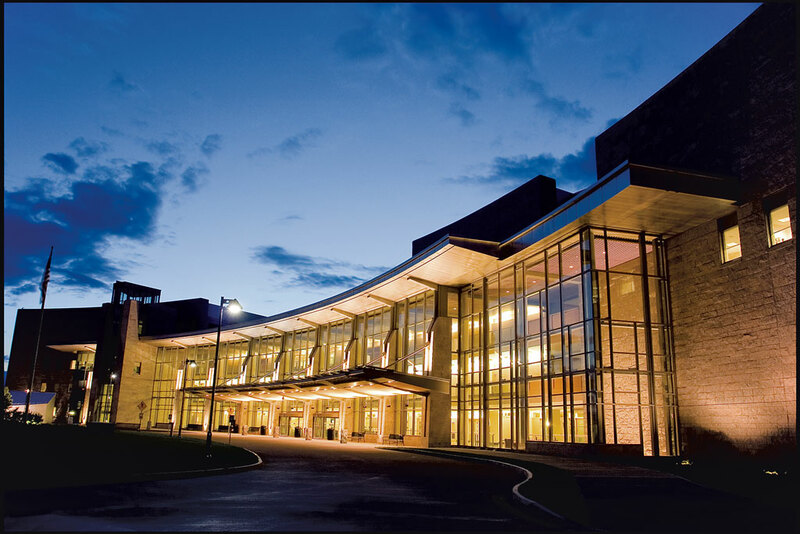 To promote teen driver safety, UVM Medical Center is offering the Txt U L8R program to students and their families. Everyone is encouraged to participate! Txt U L8R Program – Texting while driving has quickly become one of the greatest hazards on the road. It causes 1.6 million car crashes and 330,000 injuries per year, and approximately seven teen deaths every single day. That’s why the UVM Medical Center and the Clinical Simulation Laboratory at the UVM College of Medicine created “TXT U L8R” a unique program designed to discourage individuals from texting while driving. Key elements include a demonstration of an advanced driving simulator, presentation of a realistic trauma scenario, a testimonial from the victim of an accident caused by a teen driver who was texting, and a demonstration of several smartphone apps designed to prevent texting while driving. WHERE: UVM Medical Center, UVM Medical Education Pavilion, Sullivan Classroom (111 Colchester Avenue, Burlington). November 16-22 is National Teens Don’t Text & Drive Week. Here’s a great article at the Shreveport Times. Parents: Remember to set the best example! The Youth Safety Council of Vermont is known for helping young drivers learn the dangers of driving while distracted. Usually our ‘Turn Off Texting’ program uses a very analog tool: golf carts and traffic cones. Beginning November 1 at Springfield High School, Vermont will take a step into the future as student drivers begin to experience a fully digital driving experience made possible through a new pilot partnership and funding provided by the Governor’s Highway Safety Program. The Youth Safety Council of Vermont shares a DMV-designed Turn Off Texting program with schools during the spring and autumn semesters when the weather allows golf carts to be used to show drivers how dangerous it is to text while driving. Students try to navigate a course of cones while texting and almost always drive over the cones while they’re looking at their phones. The cones are proxies for pedestrians and other cars, and the students realize how important it is to stay focused while behind the steering wheel. On rainy days or the cold winter months, the program, which must operate outdoors, can’t be presented. A new partnership with Wallingford-based My Decision Driving is changing this, helping to expand this first-hand distracted driving experience into the winter season. 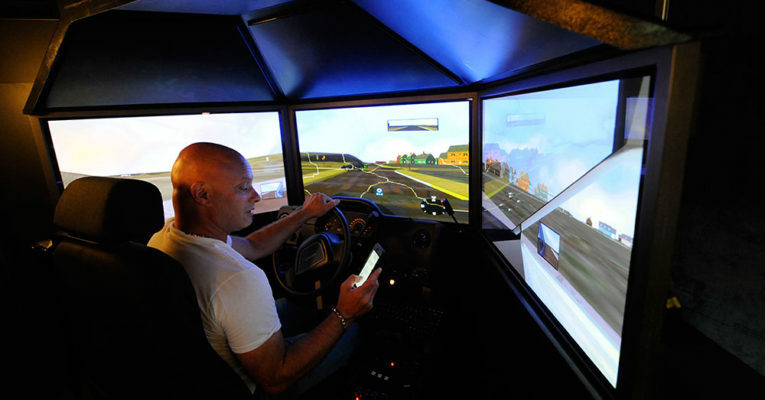 My Decision Driving operates a Doron 550 driving simulator which travels inside a 30-foot mobile classroom. The simulator is state of the art, using three 42” screens that provide a 180-degree view, and controls with haptic feedback — creating motion and forces that make ‘driving’ it seem real. Roads and hazards are custom programmed and after students participate in a simulated distracted driving experience their route can be replayed on the monitors, showing them how their distraction led to dangerous situations for themselves and others. The Doron 550 is usually used to train law enforcement personnel; My Decision Driving operates the only private mobile driving simulator business on the East coast. Members of the press are welcome to visit the Youth Safety Council / My Decision Driving driving simulator demonstration when it is shared with students at Springfield High School on November 1 and 2, 7:45am-Noon. The school is located at 303 South Street. Driver Educators in Vermont are welcome to schedule the golf cart or driving simulator Turn Off Texting programs at yscvt.org. Photo: Paul Burroughs, My Decision Driving CEO and Youth Safety Council of Vermont ‘Turn Off Texting’ Presenter, inside the Doron 550 mobile driving simulator. Photo: Times Argus, distributed with permission. Join with AT&T to spread the message: Put the phone down in the car and make the roads safer for everyone! 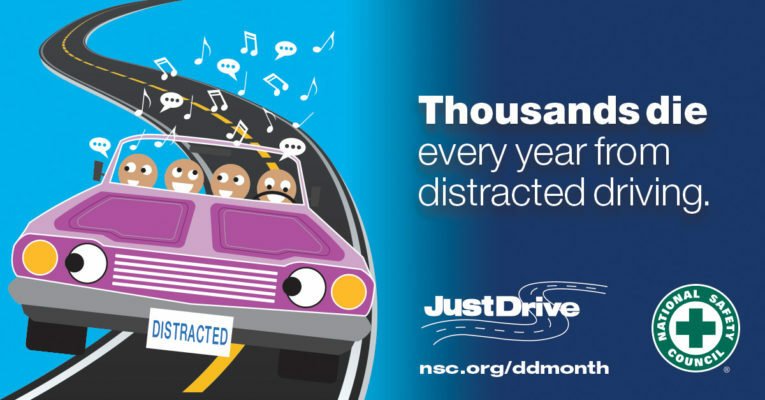 The ’16 in 16′ It Can Wait Pledge Competition is gathering 16 million promises to drive without distraction in 2016; participate and help win $5,000 for a distracted driving charity of your choice! Planning a May 2017 safety fair at Mt. Abraham Union High School. 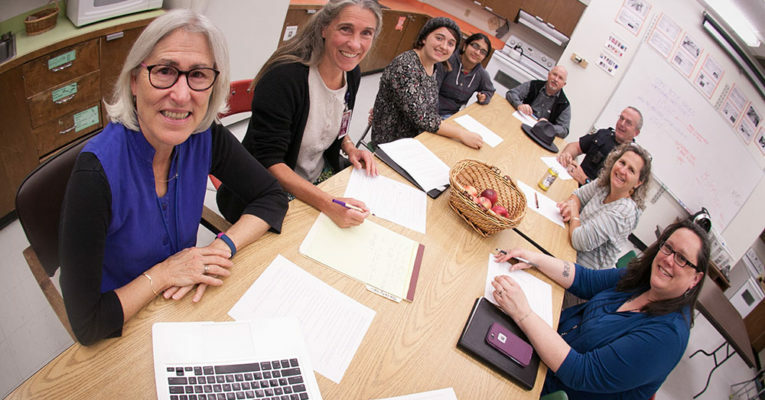 Clockwise from left: Anne Friedrichs, Social Studies Teacher; Sharon Koller, Student Assistance Program Counselor; Siena Hoaglund, student, grade 12; Satinder Pabla, student, grade 12; Art Cyr, School Safety Aid; Bristol Police Chief Kevin Gibbs; Ann Pollender, Health Teacher; and Ellen Repstad, Assistant Principal. Photo by James Lockridge, Youth Safety Council of Vermont. 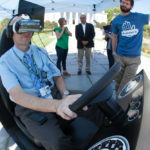 The Youth Safety Council joined a bunch of other sun-loving Vermont Highway Safety Alliance members on Tuesday for a day on the lawn of the Vermont State House, sharing our programs with the public and trying out AT&T’s virtual reality ‘It Can Wait’ driving simulator. Photos and the press release, below! Jim Baraw of the Governor’s Highway Safety Program tries the AT&T ‘It Can Wait’ driving simulator. Chrissy Keating of the UVM Health Center tries the AT&T ‘It Can Wait’ driving simulator. 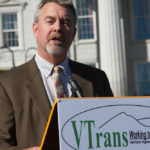 Glen Button, Chair of the Vermont Highway Safety Alliance, speaks. Chris Cole, Secretary of Transportation, speaks. 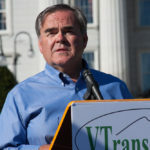 Robert Ide, Commissioner of the VT Dept. of Motor Vehicles, speaks. Owen Smith of AT&T speaks. Robert Ide, Owen Smith, Chris Cole, and Glen Button at the Capitol. 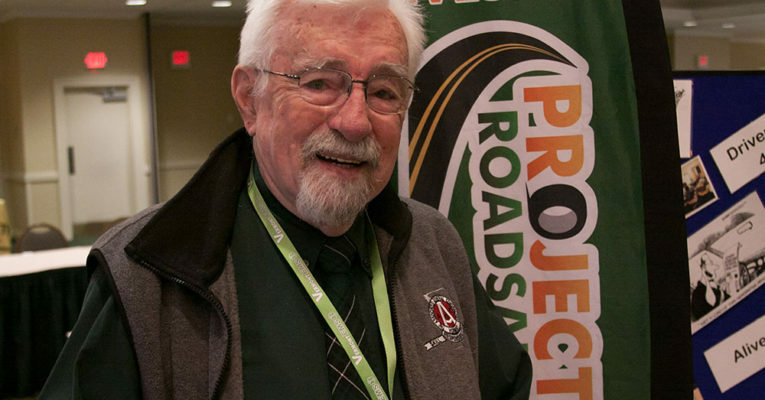 What: A free, all-ages public fair celebrating Vermont’s efforts to make its roads safer, with demonstrations and a showcase of high-tech driver education resources. Where: The Vermont State House lawn, 115 State Street, Montpelier, Vermont. 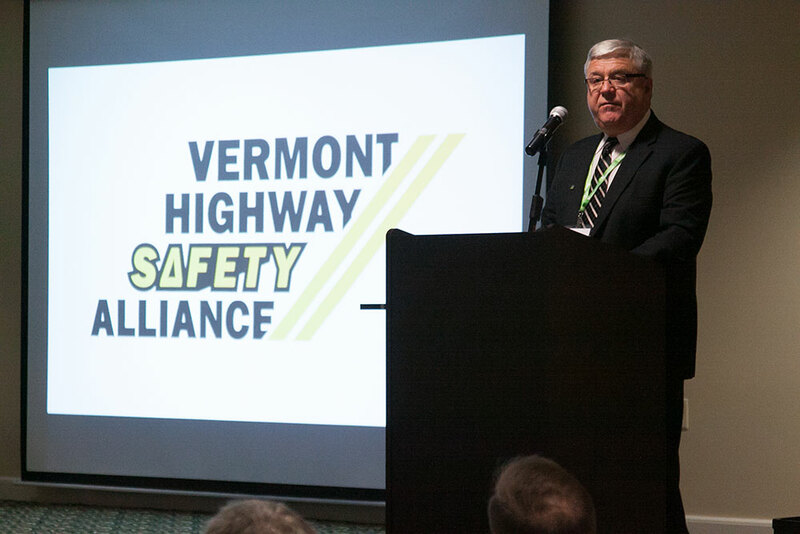 Why: The Vermont Highway Safety Alliance has been bringing safety-minded Vermonters together for more than six years, working together to make Vermont’s roads safer and help Vermont’s drivers make safer decisions behind the wheel. These diverse organizations and programs will be on display, celebrating the good energy and ingenuity they put into making VT roads safer. The fair will highlight some of the high-tech tools and resources available to Vermont communities to help them foster safer drivers and make their own roads safer for all. 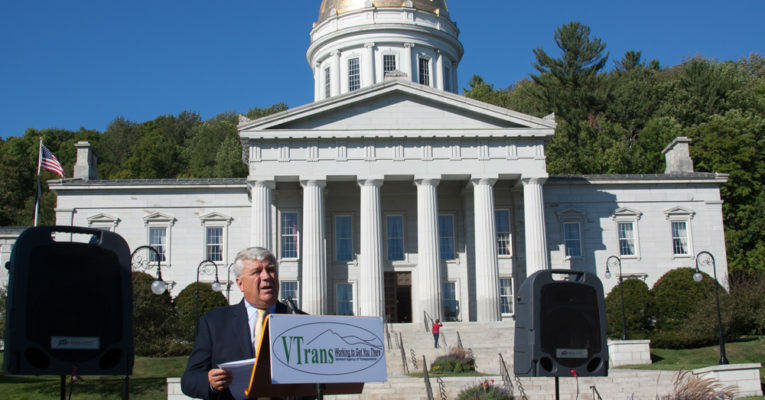 Guest speakers at 4:00pm will underscore Vermont’s commitment to continually improving the safety of Vermont’s roads and drivers. 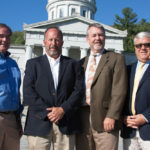 Speakers include Chris Cole, Secretary, VT Agency of Transportation; Robert Ide, Commissioner, Vermont Department of Motor Vehicles; Glen Button, Chair, Vermont Highway Safety Alliance; and Owen M. Smith Jr., AT&T Regional Vice President. A touring public demonstration of AT&T’s virtual reality driving simulator will show with immersive 360-degree ‘VR’ what next-generation technology can do to help emphasize how dangerous taking your eyes off the wheel can be while driving. Research shows that seven in ten people engage in smartphone activities while driving, and people are doing much more than texting from behind the wheel. ** People can also use Google Cardboard and their own smartphone to experience the simulation at home. To learn more and view a YouTube video about it, visit ItCanWait.com/VR. 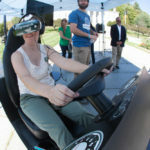 Also at the fair: Vermont organizations will demonstrate high-tech resources available to educators and communities across the state, including computerized driving simulators available through the Vermont Department of Health, the UVM Medical Center, and My Decision Driving as well as the Vermont-made mobile app JoyRyde, which provides incentives for not using a phone while driving. 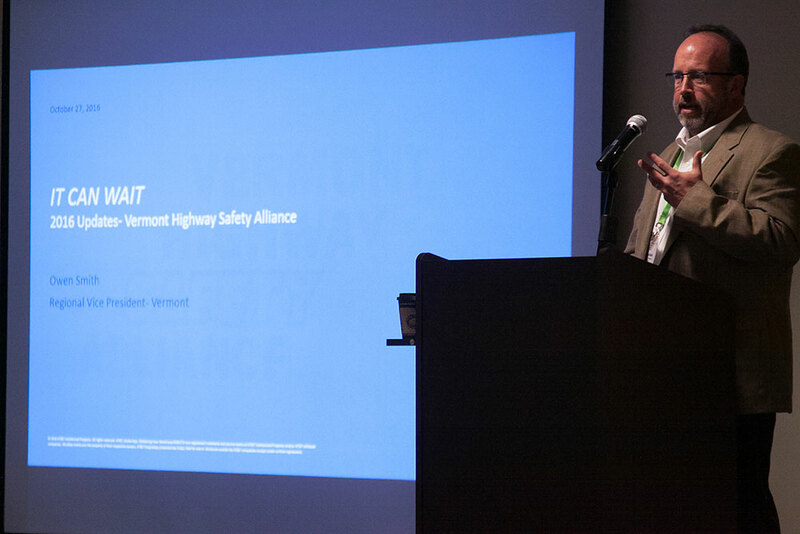 An online public crash data query tool that empowers individuals and town administrators to search through Vermont’s crash data will also be available to try thanks to VTrans; it helps identify unsafe intersections and sections of road, supporting town efforts to seek resources that help solve those safety issues. Local Motion will demonstrate new technologies including eBikes, LED lights and tools for law enforcement to measure safe passing distance between a bicyclist and a vehicle. 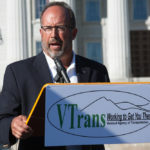 Bicyclists and horse riders will find allies at the fair including walk-bike advocates Local Motion and the Vermont Horse Council. 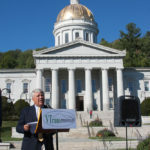 Other participants include Project RoadSafe, the Vermont Department of Motor Vehicles, My Decision Driving, and the Youth Safety Council of Vermont, VTrans, and more (see below). Helped grow awareness of the dangers of smartphone distracted driving to more than 90% of audiences surveyed. Inspired more than 8 million pledges to keep their eyes on the road, not on their phones. To learn more, visit ItCanWait.com. AT&T Inc. (NYSE:T) helps millions around the globe connect with leading entertainment, mobile, high-speed Internet and voice services. They’re the world’s largest provider of pay TV with TV customers in the U.S. and 11 Latin American countries. AT&T offers the best global coverage of any U.S. wireless provider. * And we help businesses worldwide serve their customers better with mobility and highly secure cloud solutions. Additional information about AT&T products and services is available at http://about.att.com. Follow AT&T news on Twitter at @ATT, on Facebook at http://www.facebook.com/att and YouTube at http://www.youtube.com/att. **Research commissioned by AT&T and conducted by Braun Research. Polled 2,067 people in the U.S. aged 16-65 who use their smartphone and drive at least once a day. 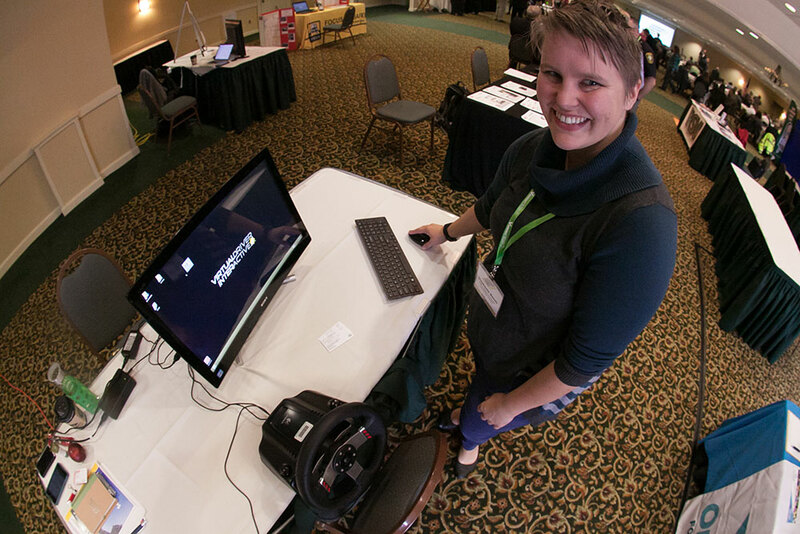 The Distracted Driving Simulator is a tool available to Vermont Drivers Educations classrooms to increase young drivers’ awareness of the dangers of distracted driving. Utilizing an interactive computer program students have a change to better understand what you don’t see when you are looking at your phone. The program is supported by the Emergency Medical Services for Children program at the Department of Health. 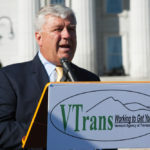 Vermont’s advocate for walking and biking will be demonstrating old and new technology, from the bicycle itself that some claim will celebrate its bicentennial next year, to new technology ideas that include eBikes, LED lights and tools for law enforcement to measure safe passing distance between a bicyclist and a vehicle. New technologies that eliminate distraction and focus the driver’s eyes on the road are critical to keep our roads open for everyone. However, until all vehicles on the road include infallible technology to avoid crashes, Local Motion will also demonstrate safe and defensive riding techniques. The AARP Smart Driver Course, offered by AARP Driver Safety, is the nation’s first and largest refresher course designed specifically for older drivers. For more than 30 years, the classroom courses have taught millions of drivers proven safety strategies so they can continue driving safely for as long as possible. Presenting student projects representing various drivers ed topics. A college PSA video winner from Project Yellow Light!